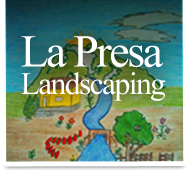 Lapresa Landscaping is family owned and been in the landscaping business for over 15 years. We specialize in providing fast, friendly, dependable landscaping services. We take pride in our work. Since our company is family-owned and managed, we are able to be hands-on and personally involved with all aspects of every project, both large and small. We are extremely committed to our work and strive to maintain the same high performance standards throughout each stage of a project.